Mel&apos;s Classic Diner, Pigeon Forge-Located just a block from the Parkway at 119 Wears Valley Road, think of a retro malt shop setting and all the comfort food you can hold. Add friendly service, period music, and authentic milk shakes. No further explanation is needed for this chrome tribute to the gastronomic past. Check out the menu at this easy place to enjoy. Great for families with children also. Floyd Garrett&apos;s Muscle Car Museum, Sevierville-90 vehicles are displayed in this ultimate collection of vintage dream cars. Each has its own story, and one of them may just be your favorite! Explore the horsepower and design that made these vehicles special, and unlike anything made today. Relive, if even for the first time, when driving American muscle vehicles was truly powerful! 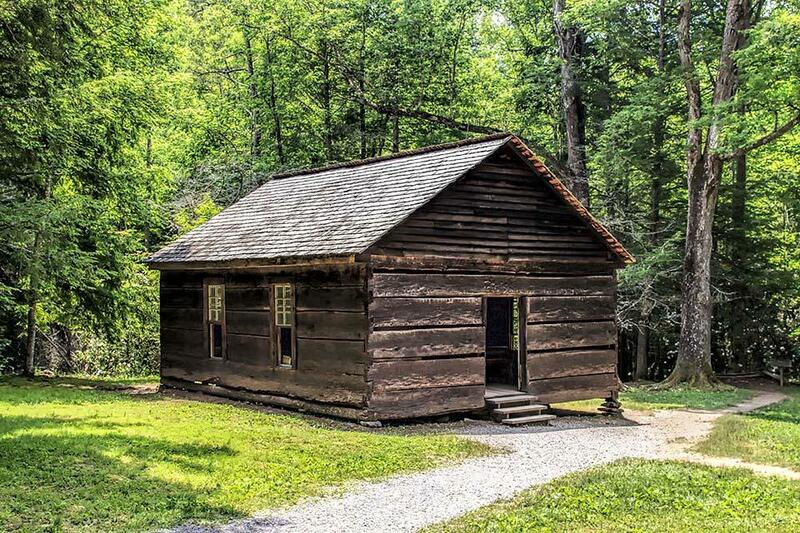 Little Greenbrier Schoolhouse and Walker Sisters&apos; Cabin, Wears Valley-Located in the Metcalf Bottoms area of the Great Smoky Mountains National Park, the trails to these two historic buildings are a 30 minute drive from the Parkway in Pigeon Forge. Just a short half-mile walk from the picnic area and the Walker Cabin another short trail away, both of these locations are special visits to learn past history of Smokies one-room school education and homestead living. Do a little homework beforehand, as onsite park ranger presentations are offered seasonally. There is also gravel road access to the school if you don&apos;t wish to walk. An interesting history lesson ready for your taking. The Old Mill Square and Shopping District, Pigeon Forge-The Old Mill and the blocks surrounding it are the original heart of Pigeon Forge. Today&apos;s shopping district industry has been built around the historic working gristmill and the Pigeon Forge Pottery crafting house that are original to the area. Water power for the mill is provided by the adjacent Little Pigeon River. The mill general store, surrounding shops, and restaurants have all been curated to offer unique fresh ground flours, crafts, antiques, gifts, and modern souvenirs. Combining history with a proper lunch and satisfying shopping creates a must-visit place to explore while here in our mountains. Free parking is available at the adjacent Patriot Park parking area. Better yet, this location is a pleasant, 10-minute walk from your motel room at Tennessee Mountain Lodge. So much, so close! To learn a little more about the history of the Old Mill, check this link. DIY Memory Spot, Smoky Mountains-Go back to the future! If you are a returning guest, you probably already have a place in mind to revisit as a favorite from past vacations. If this is your first visit, start with the list above, and begin to create your own nostalgic memories in the making. We are glad you chose to stay in the Smokies. Ask us for our favorite places to make memories here! Leif Palmer loves residing in Pigeon Forge. He is an avid outdoorsman: rowing for exercise on the lake, trail hiking, and free climbing rocks in the mountains. He indulges his arty side by periodically beating up pieces of marble by sculpting. He is always frustrated by his inability to sink long putts, and hates his curly hair (but his wife loves it). Leif has been known to muster enough courage to change a diaper, and hopes his son will become a chip off the old block. This content offered by Tennessee Mountain Lodge. Visit our home page, tennesseemountainlodge.com for the information on Pigeon Forge, Tennessee. Copyright ©2019 Tennessee Mountain Lodge. All Rights Reserved.